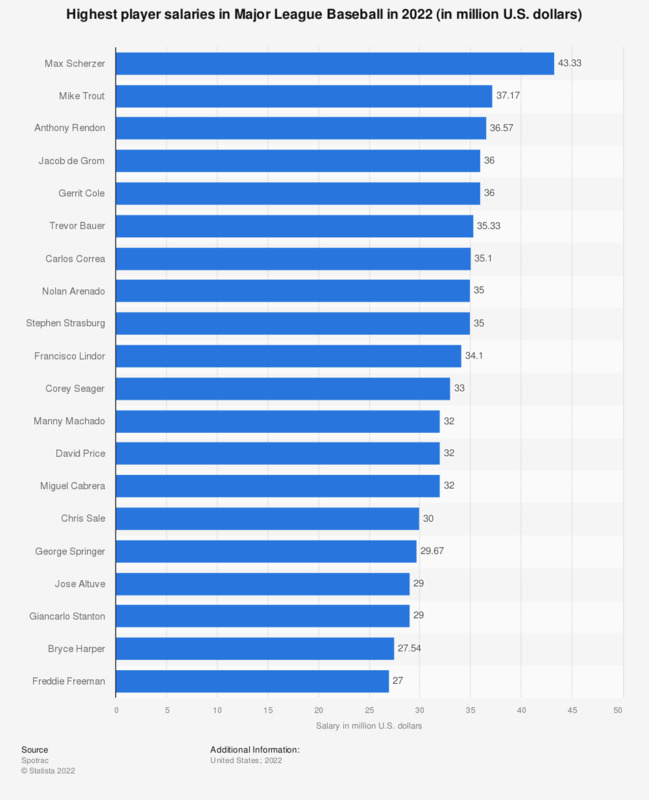 This graph depicts the top player salaries in Major League Baseball in 2019. Stephe Strasburg of the Washington Nationals received a salary of 38.33 million U.S. dollars for the 2019 season. How closely do you follow Major League Baseball? Are you very, somewhat, or a little interested in Major League Baseball?